I am stealing from Sean Dietrich again today. Can’t help it. I am head over heels in love with this man, his writing, his wife, Jamie, his hound dog, Ellie Mae, and his drawings. I will confess to him that I am using him as my guest blogger once again. I can’t help it with this morning’s story that popped up first thing in Facebook. Even FB knows of my love for Sean. He takes me back to my small town childhood. Sends me right up 1-40, takes the Bakersville Spruce Pine Burnsville exit and points me up the “mountain.” He conjures up Mama Mildred, my Granny, my Grandma Christine, my aunt Jeannette, my mutt Poochie Pie Bell, the church ladies who are still cooking for funerals at Liberty Hill Baptist Church and First Baptist Church. He recently wrote about the death of Rev. Billy Graham and made me realize that the Crusades that I attended and watched on TV sitting on the sofa with Grandma Christine were not just for us North Carolina mountain folk. They even knew him in Alabama? Whoa. Really? Anyway, a while back I wrote about cookers and eaters. 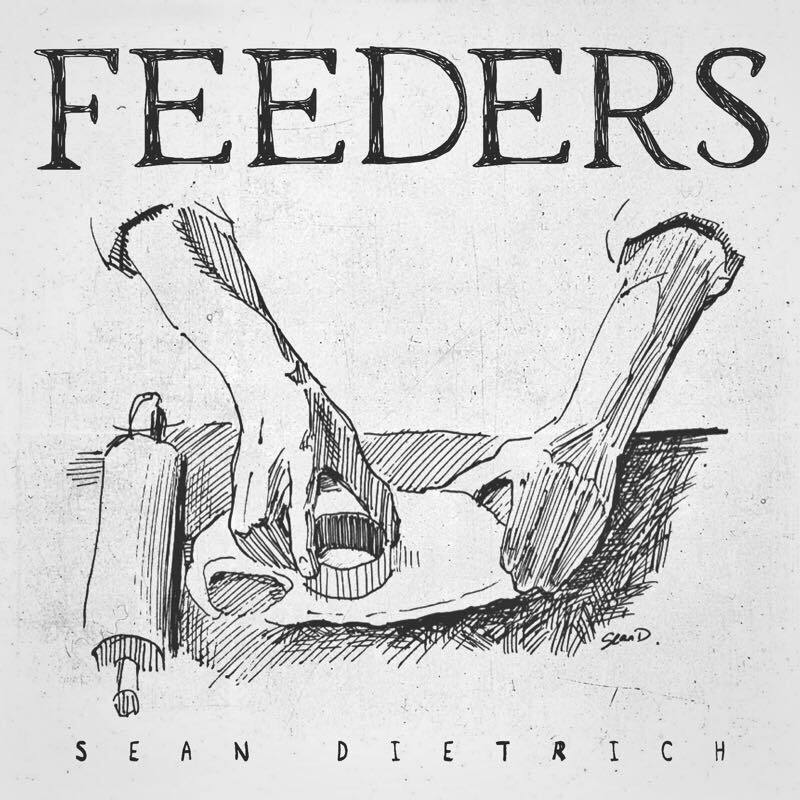 Sean made me realize that there is a third category– feeders. (There are also lookers in there somewhere, but I am leery of people who just look…) So without further ado, friends, here are Sean’s musings for today. After this, I will set out the butter and eggs to come to room temperature to concoct my own pound cake. Pound cake is known to cure just about anything. Seriously. Sending you hugs, Mama Mildred. Wish I could do it in person. With a big slice of pound cake just for you. I am in the kitchen with an elderly woman named Pauline. And, dear Lord, can she cook. Her son, Don, brought me here. He tells me his mother’s downhome fare is good enough to coax even the most depraved human being into behaving like a Pentecostal. This is Pauline’s old home. She raised a family here. She doesn’t live here anymore, she’s too old. She’s in the retirement home. This house sits vacant most of the time. Old photos line the walls. Bed sheets cover furniture. The last time they used this place was for a family reunion last year. I arrive at eight in the morning. The smell of bacon hits me like a freight train. Crackling eggs. Biscuits. Grits. Holy Chet Atkins, I’m home. Pauline is wearing 1962—red polka-dot apron, pearls. She’s all business. The woman is a feeder. If you don’t know what that is, have a seat at her table. Her food is breathtaking. Her grits contain so much butter I need to say three Hail Marys and two Our Fathers when I’m finished. After breakfast, she takes a breather. We wash dishes. I’m here as an observer, watching a feeder teach her son to make pound cake. It’s a private moment. I feel privileged to see it. Don is beside her, paying attention. She uses no recipes. She goes by feel. You’ve never met her, but you already know her legacy. She represents every kitchen queen there ever was. She is frilly aprons, Thursday-night Civic League, pear salad with cherries and shredded cheese on top, and an accent that makes your heart sore. She cooks by handfuls, gut feelings, intuition, and can cure broken hearts with enough bacon grease. Pauline learned to cook when she was ten. As a girl, she fed six brothers. As a married woman; three sons and a husband. Her whole life has been behind a stove. Her hands don’t work like they used to, and she gets winded after talking too much. She is not just an old woman. She is old America. Her husband was a pipe welder—the backbone of this country. Pauline was his lumbar muscles. 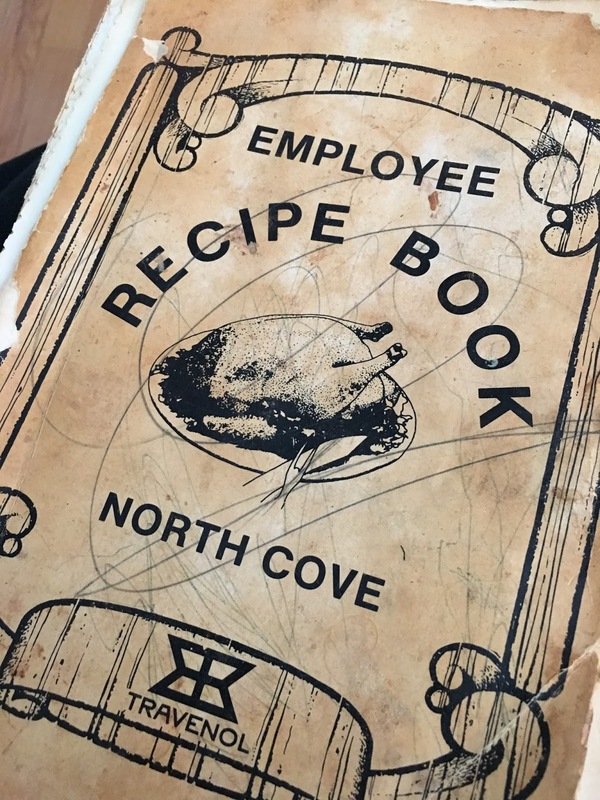 Every day, another elderly woman like her crosses The River and the world loses another recipe index. Pillsbury tube-biscuits are taking over the universe. Shoot me. After a full day of baking, Don is testing his pound cake. His mother samples bites like a county-fair judge. It’s impossible not to smile in this kitchen. Don becomes “Donnie” again. I see it on his face. Even though he’s old enough to file for AARP, Mama’s pride reduces all grown men into little boys. She kisses him. The day is over. They send two cakes home with me. They shut the lights off to a vacant house. I’m eating cake while writing you. My lap is littered with crumbs. I’m no expert, but this cake has a familiar taste. I can’t pinpoint the flavor. It hits the gut first. It’s sweet. This cake was made with the same ingredient all feeders use. The only ingredient that matters in this life. Hug your mother today, if you have one. Cream butter; gradually add sugars, beating well at medium speed. Add egg yolks, one at a time, beating after each addition. Sift flour and cocoa together. Combine sour cream and baking soda. Add flour mixture to creamed mixture alternately with sour cream, beginning and ending with flour. Mix just until blended after each addition. Stir in vanilla. Beat egg whites until stiff peaks form; fold into batter. Spoon into a greased and floured 10-inch tube pan. Bake at 325˚ for 1 hour and 15 minutes for until toothpick comes out clean. Cool in pan 10 minutes; remove from pan and let cool completely on a wire rack. Bon appétit to all feeders out there. There is a special place in heaven for you. With a tricked out kitchen and a never-ending supply of butter and eggs.